THIS ITEM SHIPS FREIGHT. CONTACT FOR QUOTE. For those who prefer a more minimalist front bumper, the Minima is is for you. A robust front bumper worthy of the unpaved road. Protect your ride & mount lighting and hardware. Because our bumper attaches to your Sprinter’s chassis and suspension frame, you can stand on it, mount bikes, etc. 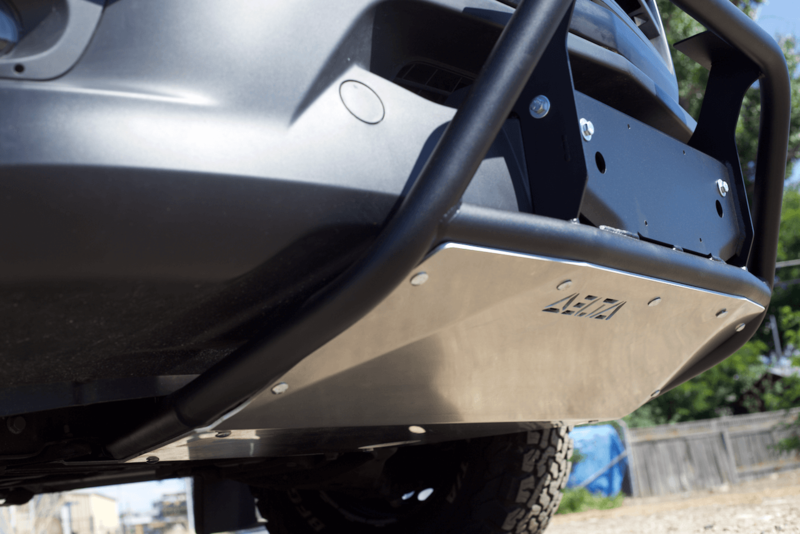 This is a sleek & snug fitting front bumper that will not interfere with your OEM tow location and features an access hole for the oil pan drain plug through the skid plate. Receiver Hitch Accessory is available.